You are the star player in your business. We can help you dress up your brand to the nines and make a great impression on your audience. Be you, only the best you. We are a small design studio located in the Bryan / College Station area of central Texas. 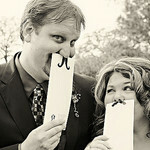 Sprocket Design’s husband and wife team have over 15 years experience in building great websites. We have a passion for building great websites that not only look pretty but more importantly are highly functional. Websites are great at delivering information and it should be easy to find and understand. We are able to build amazing products on limited budgets by using the best products available such as WordPress. Using this approach allows us to focus on what makes your website unique while still providing the best tools for you and your employees to manage the content on your site. We are ready to build you a site for your business, allow us to make a proposal.